With the exception of shelters down sleeping bags and jackets are some of the most expensive equipment that most hikers own. These items of equipment are designed to keep us warm in cold conditions so letting them degenerate by allowing dirt, grime, and body oils to penetrate the skin of the bag as well as the down means that they will loose there warmth as well as there waterproofing that many modern down items now have. Using regular washing detergent is going to damage the DWR treatments on both the fabric of the bag and the down itself so its critical that you use purpose made products to clean and rejuvenate your equipment. There are a number of different companies on the market but for the past three years I have been using Nikwax products. 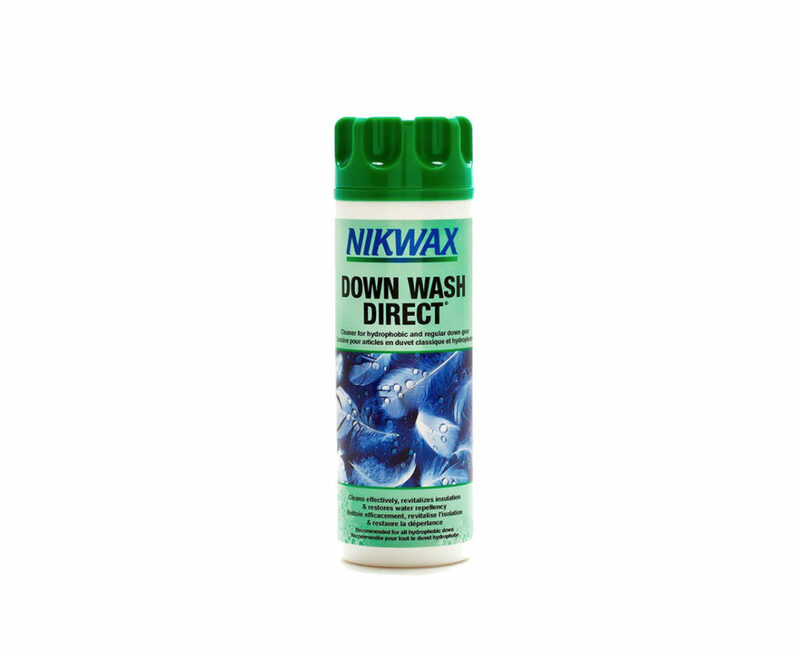 Nikwax is a company that is well known worldwide for its cleaning and rejuvenation products and is readily available in most countries. While you won’t necessarily wash your down equipment as items of clothing they do need to be cleaned on a regular basis and how often this is will depend on the amount of use they get. I find that with the amount of day and overnight trips that I do I will usually wash my sleeping bag and my down/synthetic jacket about 2-3 times a year and its as simple as either hand washing in a bathtub or large tub, or machine washing in front loading washing machine. In 2018 I returned from a five week long trip on the Bibbulmun Track and my sleeping bag was used for 31 nights. I came back from the trip thinking my bag was in very good condition only to be told in no uncertain terms by my wife that it stank; and this was with the use of a sleeping bag liner. Problem fixed with a wash using the Nikwax Down Wash. The bag ‘fluffed’ back up again, the smell was gone. Depending on how bad your down bag/jacket is the bottle will do three washes at the recommended 100ml/wash which costs around $7/wash. That may sound expensive but given my sleeping bag and down jacket are worth around $800 this is money well spent. More importantly I want to know that i’m going to be warm and comfortable on my hikes so see this expenditure as been a fairly minor expense. When was the last time you washed and treated your sleeping bag and puffer jacket? This review was done with product purchased from a retail store. It’s what we use for our down equipment.